Modern two bedroom unit with a pet friendly secure yard and off street car parking and a lock up garage. Features reverse cycle air conditioning. New kitchen complete with dishwasher. Adjoining dining area and lounge room. Master bedroom has queen size bed, other bedroom has single bed with a pull out trundle if required. Seperate bath and shower in new bathroom. Pets allowed inside and out, day and night. Close to public transport, and main highway. 5 minutes from Bendigo CBD. 2 min to picturesque Lake Weeroona and is next to Bendigo creek walking track. Central to all of Bendigo's major features and attractions. Evaporative cooler through out unit. Thanks for the feedback, we've never received this request before but will certainly consider placing some frying pans in the unit. Thanks Lyn, it was also a pleasure to have you. We stayed for four nights over New Years for a getaway. We brought our two Samoyeds with us and we loved staying here. Place was spotless and had absolutely everything you could possibly need. Thank you, we’ll be back again for sure. We are pleased you enjoyed your stay in our wonderful city. Thanks Michelle, always nice to hear from satisfied guests. You are welcome back anytime. clean home. Has a very very comfortable bed. It is in a nice quiet position and so pet friendly. Thanks for the review, we are pleased you enjoyed your stay. 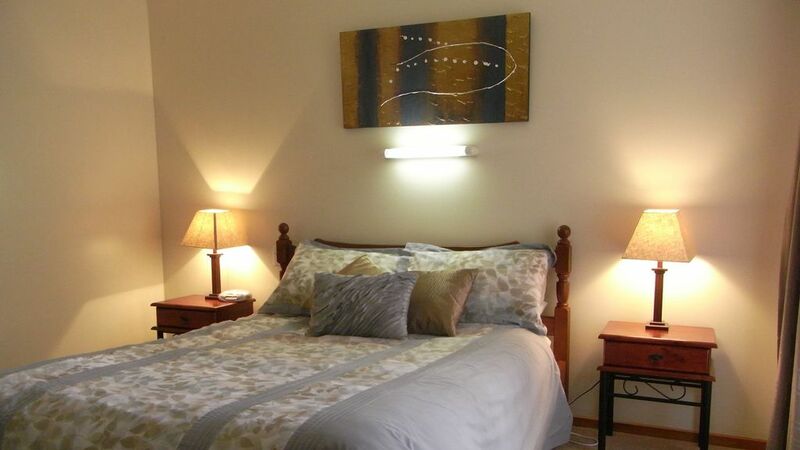 our aim is to make your stay as enjoyable as possible. The property is as seen in the photos. It is very clean and everything that is needed for your pet is provided. We have stayed here twice now, and will stay again in the future.